Waking up to the rustling sound of wind always makes me want to cook. I don’t know what it is about cold weather and the oven. They just go hand and hand. I was dying to bake something this morning! But not just anything. I wanted to bake the kind of food that makes the house smell so good, it lures you out of bed to investigate. I bought this about a week ago and I needed to use it in something. 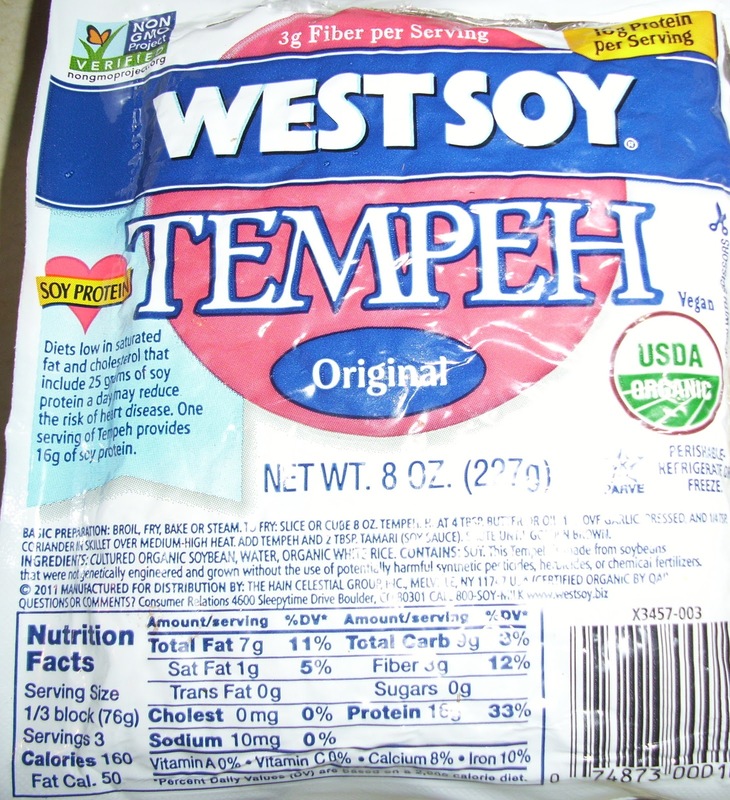 What is Tempeh? First of all it’s pronounced TEM-PAY. Go on, try to say it. Now, according to about.com the definition on Tempeh is: Tempeh is made from cooked and slightly fermented soybeans and formed into a patty, similar to a very firm veggie burger. Many commercially prepared brands add other grains, such as barley, and also add spices and extra flavors. Although tempeh is made from soy, it has a unique taste and is mildly flavorful on it’s own, unlike tofu. If you aren’t fond of tofu, tempeh is also very high in protein and calcium, as well as beneficial isoflavones, but tastes nothing like tofu. Tempeh has a textured and nutty flavor. AKA, another cool “meat” to try! 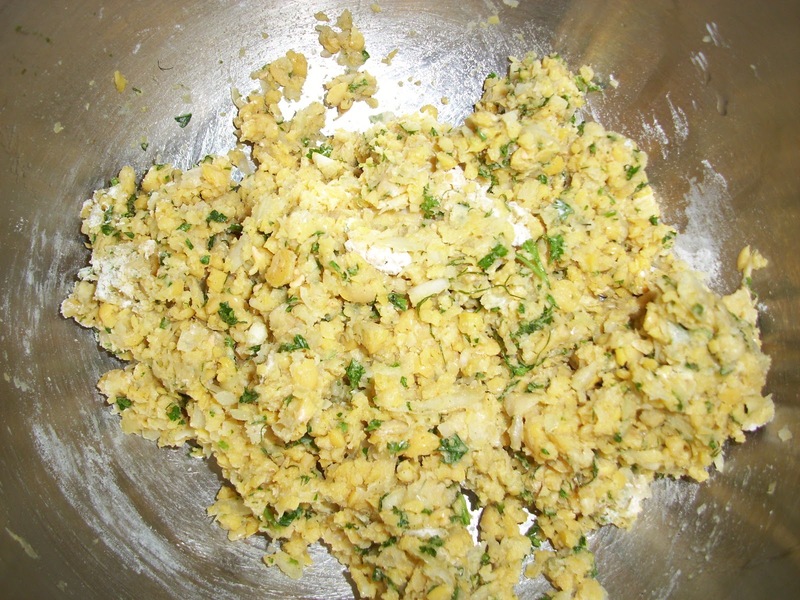 So I did some googling for ideas and was inspired to make a Breakfast Hash. 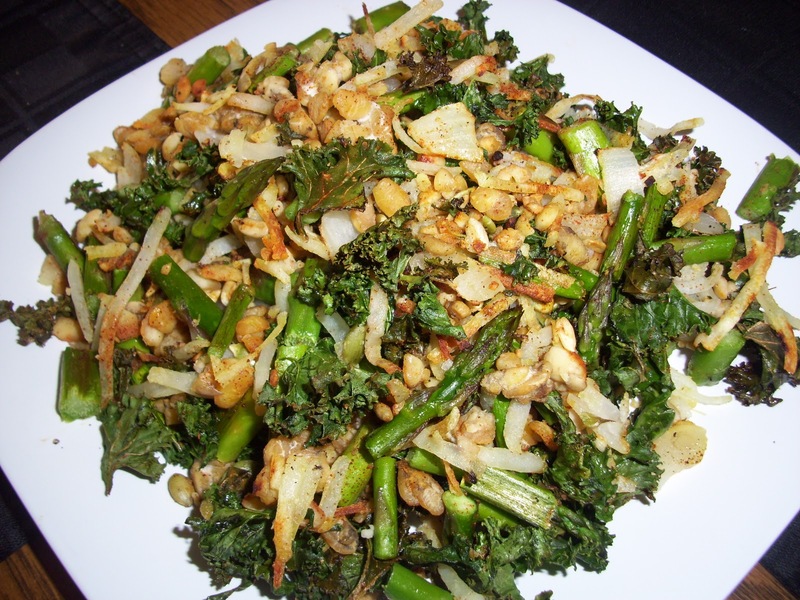 I used way less oil in my version though and added some asparagus that I had on hand. It was SO yummy and made my house smell just like a little country cafe. 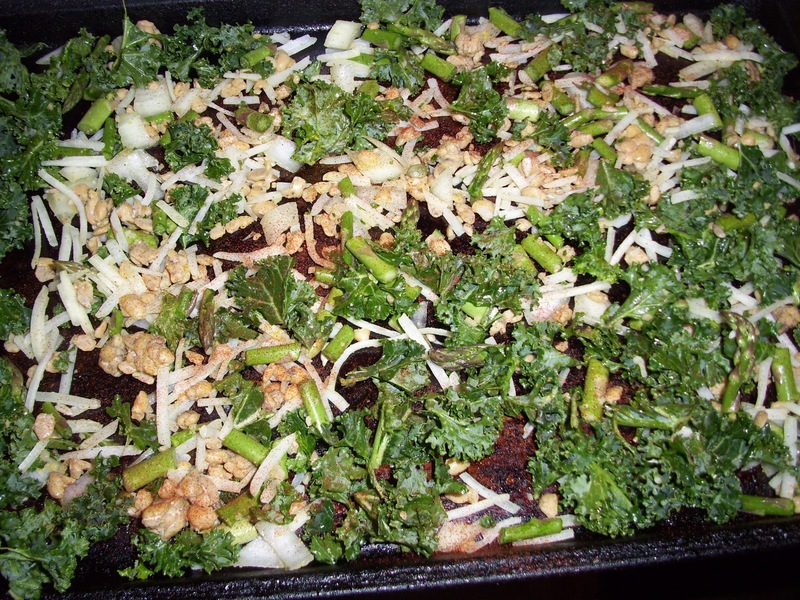 The trick is with this recipe is to use a cookie sheet and make sure your oven is nice and hot. The sesame oil is a MUST in this recipe to give it some Asian flare. A little goes a long way and gives this dish so much flavor. PPV: 7 for the entire recipe! Preheat oven to 350 degrees F. Mix together all of your ingredients except the paprika. Mix well to insure the oil coats everything. Spray a cookie sheet with non-stick cooking spray and then spread mixture out in an even layer. Sprinkle with paprika to your liking. Bake in the oven until crispy and brown, about 20-30 minutes. How good does that look?? Well, let me tell you what. It was DELICIOUS! And look at that serving size! Can’t beat it, peeps. Can’t beat it. My day carried on like normal when my beautiful friend “Jay” calls. Well, she didn’t CALL, she text. She text me to inform me that she had indulged in some deep fried and bread crumb laden falafels and how guilty she felt. 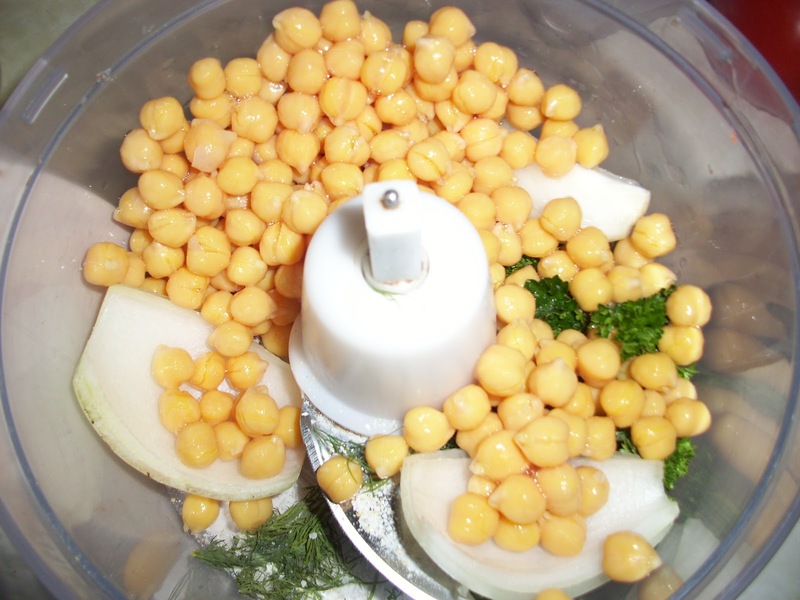 I myself had never HAD a falafel but I knew what was suppose to be in them and it shouldn’t be bad for you. Today, it was in the recipe inspiration department. OK, those weren’t my EXACT words. But I did tell her that I was going to try to make my own healthy version and report back to her pronto! Thank you, Fat Free Vegan Recipes, for the assistance! Traditionally, falafels are breaded, deep fried and served with a creamy mint yogurt or tahini sauce. I personally love the taste of dill so I switched mine up to have that in it and used some flaxseed meal to hold it together instead of flour. You can always use any herb you like and dress these in any fashion. I used what I had on hand and they came out so good. Full of taste bud popping flavor and very filling! 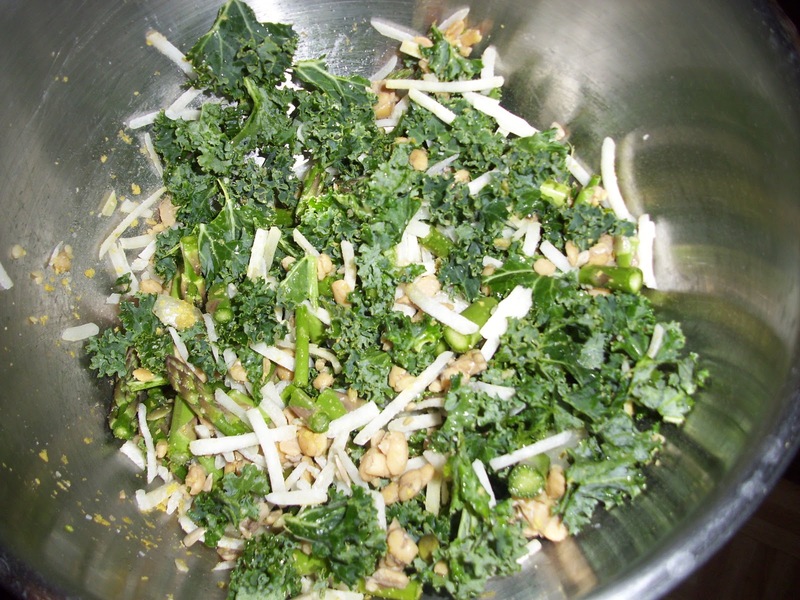 Preheat oven to 400 degrees F. Combine the first 9 ingredients in the food processor. Process until mixture is coarsely pureed and transfer to a large bowl. Stir in flaxseed. 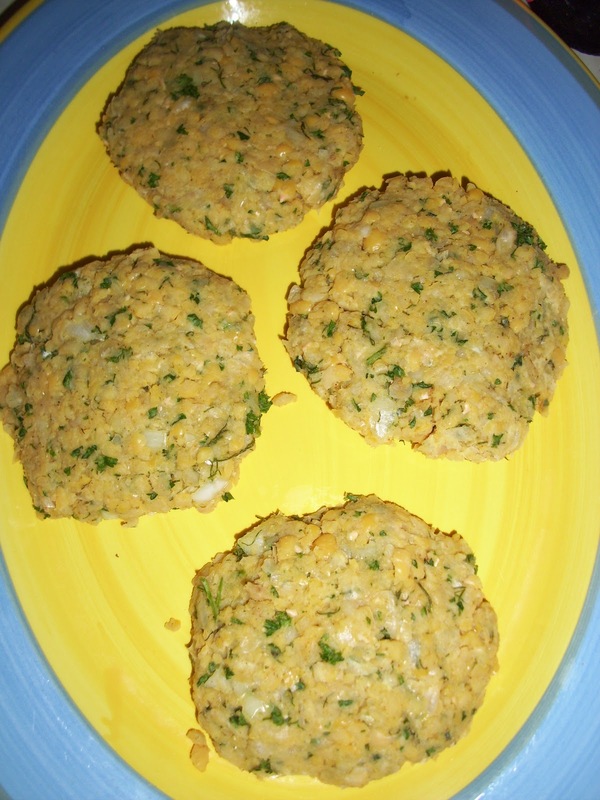 Shape into 4 equal sized patties and let stand for 15 minutes in the fridge. Spray a large cast iron skillet or oven-proof pan with non-stick cooking spray and place over medium-high heat. If you don’t have an oven-proof skillet make sure to cover your pan’s handle with aluminum foil before placing in the oven! 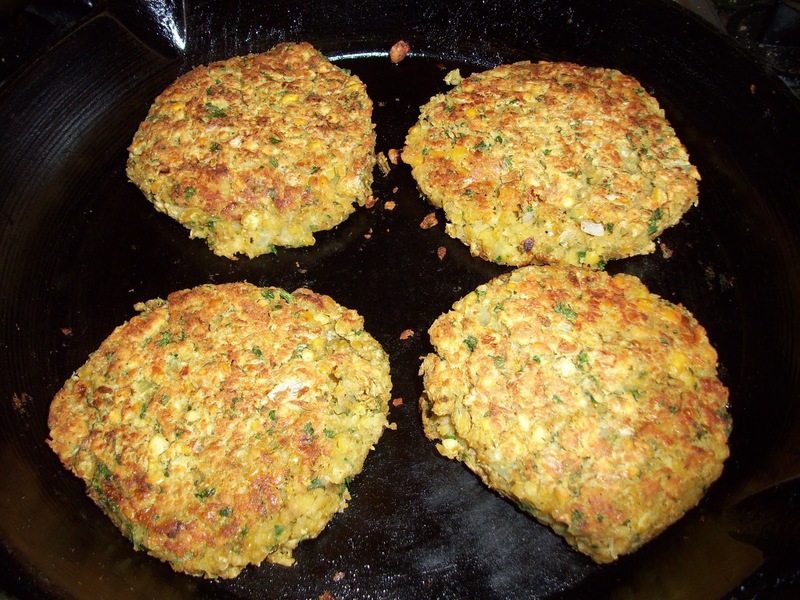 Add the patties and cook until golden brown on both sides. About 3 minutes per side. Transfer pan to the oven and allow to finish cooking for 10 minutes. To assemble sandwiches, heat pita pockets in the microwave for approximately 30 seconds to heat through and make it easier to work with. 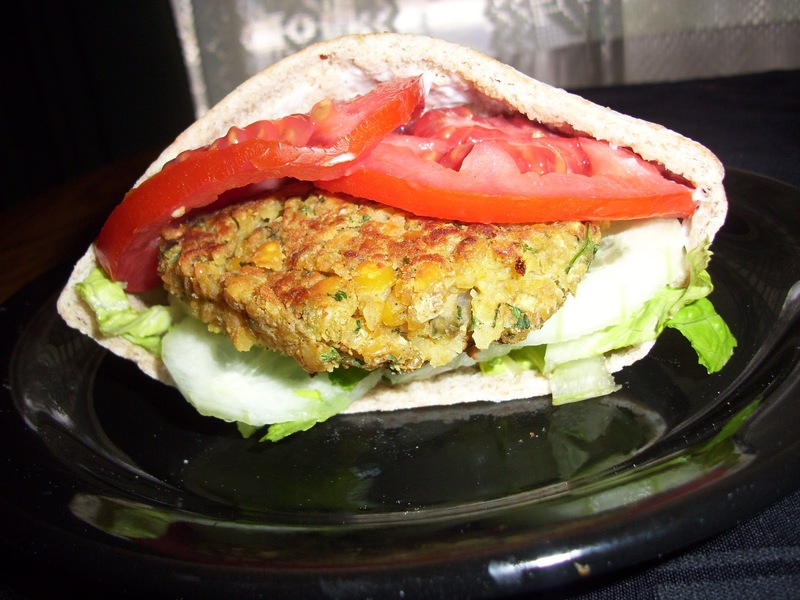 Then spread 1/2 tablespoon of Vegenaise on both side of the pita pocket, layer in lettuce, tomato, cucumber and add one falafel patty. Enjoy!! One last thought for today. I just want to say thank you to everyone who is helping to support my blog. You stopping by to view and read what I have to say means so much more then you could ever know. I hope that you find my blog inspiring and helpful in your own life and on your own journey. Keep reading and I’ll keep blogging! You guys are awesome!! Next Post Real Juice At Juice It Up!